Home / News / Professors Protest University Of Wyoming Slogan Praising Cowboys. Then This Happens. Professors Protest University Of Wyoming Slogan Praising Cowboys. Then This Happens. The university bookstore sold out of “the world needs more cowboys” T-shirts the first week they hit the shelves. Responding to demand, the University of Wyoming put the slogan on other products and sold roughly 5,000 items in the first six months. Between July and December 2018, royalties were up $38,000 over the same period in 2017 as the school licensed 143 different products with the tagline to third-party vendors … A campaign ad video had half a million views online—nearly the equivalent of Wyoming’s state population. … Enrollment numbers won’t be in until later this year, but “it’s pretty clear there’s been an increase in interest,” spokesman Chad Baldwin says. The controversy has ended up bringing even more attention than we expected to “The World Needs More Cowboys,” as evidenced by the fact that the video has been viewed close to 400,000 times on the unpaid web platforms where we placed it—and that’s not counting the people who have watched it on the dozens of media websites around the country that posted it as part of their news coverage. The video and related messages are now going around the state and nation as part of a paid advertising campaign, and we expect very positive results in the form of increased inquiries and enrollment of prospective students—in addition to sales of “The World Needs More Cowboys” merchandise, excitement about the university’s direction and support from private donors and others. The campaign takes the university’s boldest asset—our iconic bucking-horse-and-rider mark and the Cowboys mascot—and modernizes it to reflect today’s challenges. 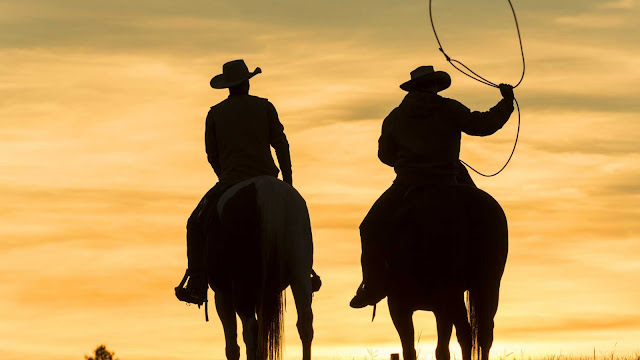 It redefines what it means to be a Cowboy in this day and age, distilling it down to the inner spirit of curiosity and boldness that all who call themselves Cowboys and Cowgirls can identify with—no matter their race or gender, or whether they’re students, employees, alumni or other supporters. The Cowboy spirit is what UW helps instill in students, giving them the skills and support they need to make the breakthroughs that benefit our state and the world.